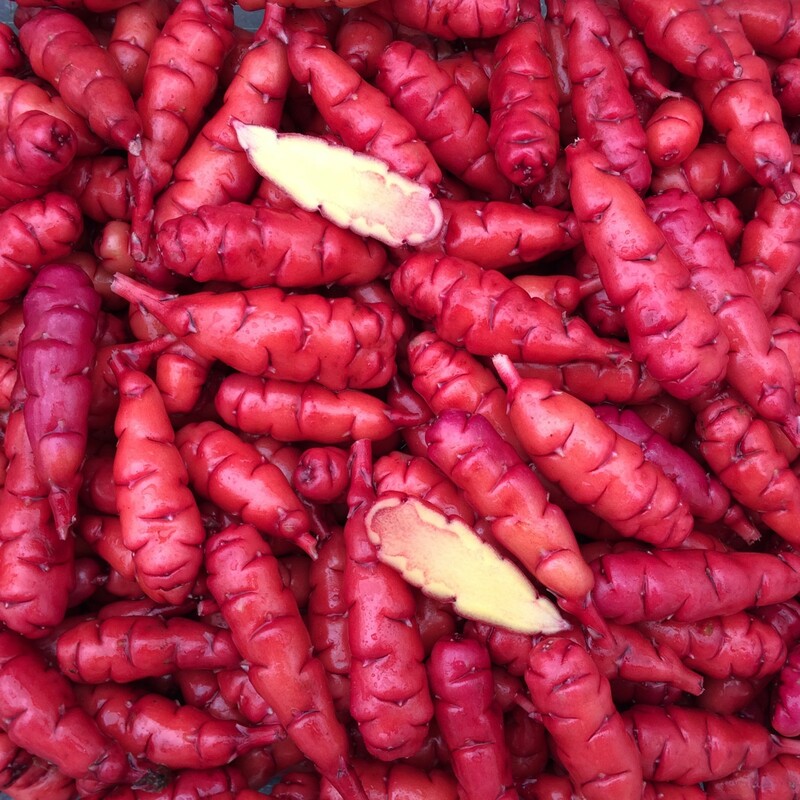 Cherry Red is a New Zealand oca (or yam, as they call it) variety originally brought to the USA as a food import. It is notable for high yield and large average tuber size. Cherry Red is very reminiscent of potato, with firm, dry flesh and only very slight tartness. It cooks to a muted yellow/orange color. Cherry Red plants are tall, with a large number of stems, and sprawling at maturity. The tubers are produced on long stolons, which helps to prevent crowding and ensure uniform tuber shapes. Tuberization photoperiod is about 12.5 hours, perhaps a week earlier than most heirloom varieties. It appears that it might be a mutation of Sunset, as it is very similar to that variety in every trait but skin color. 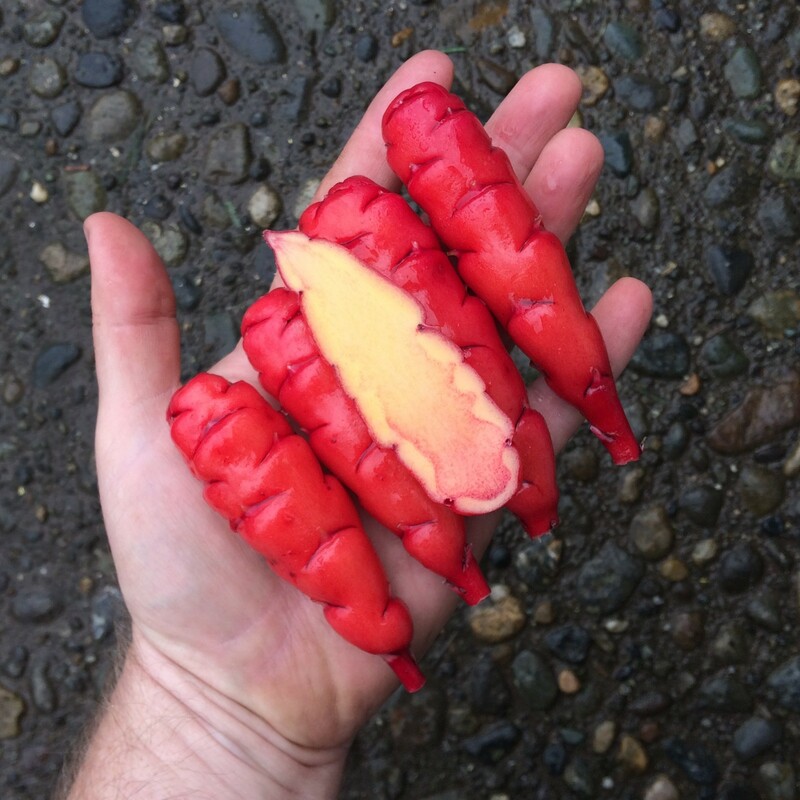 While Sunset produces orange-skinned tubers, Cherry Red has red tubers, as you might expect. Occasionally, we find a tuber that has partially or completely mutated to orange skin, which prompted this speculation. Average yield is 2 pounds. Maximum tuber length is 4.8 inches and average tuber length is 3.3 inches, so this variety skews decidedly toward larger tubers. Average tuber count is 41. Cherry Red is a low to moderate flowerer with a short styled flower, flowering here in July and August. 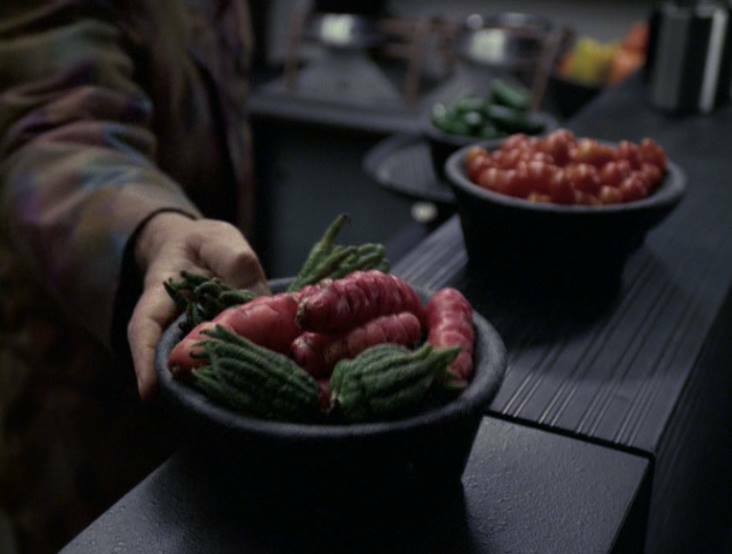 Nerd alert: Our original supplier mentioned that this variety has appeared in several Star Trek episodes as an alien vegetable and we finally spotted it in Star Trek Voyager in an episode called “The Voyager Conspiracy”. Total screen time is less than a second, so you have to be watching closely to see it. There is a screenshot in the gallery.